Ok, ok, so this picture was taken about twenty-five years ago. But I don't have a scanner, so you'll have to deal with the youngest pic I have of myself. I don't have any pictures of naughty Josh... I'm sure it happened at some point, but honestly he's almost always been an angel. Anyway, I just wanted to remind my parents that I've received the payback I deserve for being such a terribly difficult baby/child, and I hope to some day be able to make up for the horrific 48-hour labor she endured in order to deliver me into this rotten world. My mama agreed to guest post for me! What she wrote for you guys is below. Enjoy! And please, no one mention how close 27 is to 30... I just can't take it! 27 years ago. It was my seventh full-term pregnancy, though number five was a stillborn baby boy. I was 33 years old and Aubrey’s birth gave me three boys and three girls, conveniently alternating boy/girl/boy/girl/boy/girl. It was perfect. It seemed like it took forever to get to that point. It was a rough pregnancy. 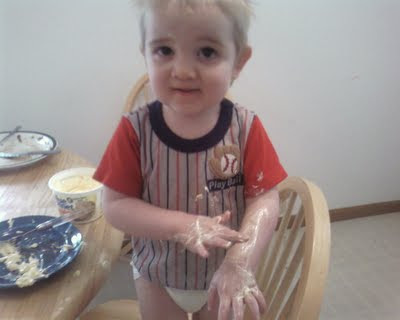 In fact I determined that if God wanted me to have more children after this one, He would make it easy on me. The delivery was the clincher. Aubrey took a couple of days to come and then got stuck. The epidural didn’t work and they tried everything to get her to come out. They even tried the vacuum extractor but it malfunctioned for some reason and they ended up using mid-forceps. Needless to say, it was not much fun. The nurse was underneath the bed (at that time it was in the “delivery room”) holding the heart monitor in place because of the time it was taking (they had already removed the scalp lead for what they thought was imminent delivery so it was a makeshift monitor. She worried I could lose this baby too, knowing my history. That would have been devastating. She was also a coworker since I worked at that hospital and we had been on the same unit prior to her move to L&D so there was some personal interest going on. We were excited and relieved that she was born healthy and strong in spite of the battle against birth. Needless to say Jenny was beside herself. We took her home only to find she still wasn’t happy about being here. It was like she was continuing to say, “I was just fine where I was” and she really didn’t seem happy – at all! Besides her siblings, there were neighbor children begging to hold her. If she cried (which was the norm) the kids seemed a bit worried and I apologized to them as I took her away from their anxious arms. The neighbors brought gifts and food and oohed and ahhhed over the beautiful baby girl. Aubrey was most happy when I was holding her, mostly when she was nursing – something she did well, thankfully. I told people it was like she was so upset at the umbilical cord being cut she just had to find another permanent connection. She didn’t sleep – ever! If I got her to to sleep and tiptoed into the kitchen to wash a few dishes, I couldn’t even complete the task before she was wailing again. We dressed her in adorable girl clothes and I thoroughly enjoyed having her, but she was definitely not an easy child to care for. Within a couple of weeks I developed a uterine infection and was very ill. I had a hard time caring for her so I had her dad give me a stack of diapers, wipes and other supplies before he left for work. I brought her into bed with me and just did my best to keep her fed and dry. When Chris got home from school (first one home since he had started Middle School) he ran as fast as he could to find me and would breathlessly ask where she was. He was so cute with her. Then he helped me for the next couple of hours – a welcome relief. When the fever got high enough I was hallucinating, Ken took some time off to get me to the doctor. Antibiotics did the trick but it was a grueling experience with my very fussy newborn. We all survived but it wasn’t easy. Aubrey continued to be pretty difficult and apparently not happy. Besides not sleeping, she was also extra sensitive to noise and stimulation. Now, with 5 other children under the age of 12, chaos is more common than calm. And, I had to cook, do laundry, shop and clean. Then there were the never-ending appointments. We got into enough of a routine to keep her mostly content, if not sleeping. There were smiling moments. I tried to grab a camera every chance I could so my memory would not be only of the unhappy times. She came to enjoy her swing and was always happier if she was being held (post colic time anyway) so having the extra willing siblings was very helpful. It was pre-digital camera era so pictures weren’t that plentiful but we have quite a few. I’m not sure why the rough moments are etched more permanently in the memory. We really were happy to have Aubrey join our family. I will admit I had a hard time returning to my part-time job because I wasn’t sure anyone else could handle it. But, it turned out her big sister, Jenny, was patient and loving. By the next year Jon started preschool and I realized that a couple days a week with the others all in school, we could go shopping – just Aubrey and I – at the mall! This was a first for me because with multiple preschoolers in tow, it’s just not worth the trouble. Turns out Aubrey HATED the mall. We would drive up and she would see the store sign ZCMI on the building and start to panic. Inside she was likely to freak out or hide inside the round clothing racks and nothing could convince her this was fun – not promises of new shoes, treats, balloons or - heaven forbid – the oversized Easter Bunny. So, I gave up on the mother-daughter mall dates. By the time she was two, the terrible twos were nothing. In fact she actually got better. Later we realized we couldn’t vacuum when she was around because she was hypersensitive to sound. I think she suffered from sensory overstimulation in general. When I took her for her preschool exam with a new pediatrician in the area, she freaked when he came at her with a stethoscope. He looked at me and asked, “what is WRONG with her?” I told him I didn’t know, thinking “isn’t that what I pay you for?” He was a PEDIATRICIAN for heaven’s sake. Needless to say, we found another doctor. Aubrey has always heard she was my “most difficult baby.” I guess that’s true, but that doesn’t mean I don’t love her as much. We all adored her right from the start – crying or smiling. I just wish she had been happier being here! I used to tell people that she had a better memory than most of the world she had just come from and I couldn’t blame her for being a bit frustrated being thrown into mortality. 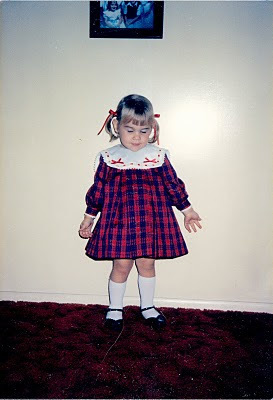 Now my baby is 27 with adorable babies of her own – complete with the “mother’s curse” though it didn’t come from me. I’m proud of the obstacles she has overcome and the love she shows for her children. She’s a good mom! I’m glad that each generation gets better at that. Oh man. I hear you. Turning 27 I stopped being excited to get older. I got a glimpse of a 'mid-life crisis' realizing how close IT IS to 30! Oh man... I'm so old... I wonder if 28 I'll give up and just give in to the aging process... oh man. Life is going too quick!